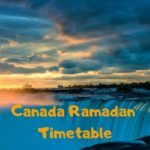 TheRamadanKareem.com has listed all Ramadan Rituals and Traditions (Customs) with details. Ramadan is a period of Self-discipline and soul purification for the followers of Islam across the globe. The blessed month has its specific Islamic & local rituals that Muslims celebrate to show their obedience to Allah and love with their religion. Ramadan starts with the sighting of the crescent moon. 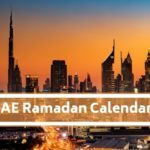 In Islamic countries, there is an official religious moon sighting committee which decides about the beginning of Ramadan Kareem. People also search for the new moon and if someone finds, it’s his responsibility to inform authorities. 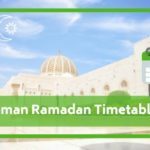 For this reason, Ramadan starts on different dates in different countries crossword clue. The month of Ramadan is dedicated to fasting. Muslims refrain themselves from eating, drinking and, immoral thoughts and deeds by fasting from dawn to sunset. They try to spend much time in prayers and recitation of Quran-e-Majeed to refresh their faith on Allah and Prophet (PBUH). Everyone makes a sincere effort to change his inner self in the holy month by avoiding sinful acts. Infect, fasting is a way to learn self-control and purification of Soul. In Ramadan, Muslims eat two meals. Suhoor is the pre-dawn meal which is taken before fast closing. Iftaar is the evening meal which is taken at the time of fast opening. Special dishes are prepared for both meals which are full of nutrition’s to fulfill the body needs. Fresh dates are usually used to open the fast. Fresh juices are also included Iftar meal which fulfills the need of water. Muslims reschedule their daily jobs to offer prayers five times regularly and recite Quran on daily basis to learn from its verses. Everyone wants to spend some time with Allah to purify the soul and to bring a positive change in personality. Well off families arrange the meals of Sehar and Iftar for poor peoples. Iftar parties are also arranged to invite relatives and friends on Iftar. Masajid also arranges the meals of Sehar and Iftar. Anyone can go and eat with no discrimination of poor or rich, white or black, & Muslim or Non-Muslim. Namaz-e-Taraweeh is also an important part of Ramadan Rituals. It is necessary for fasting to offer namaz-e-Taraweeh with Isha prayer. Fasting without offering Namaz-e-Taraweeh is like fruit with no sweetness in it. Usually, there is more recitation of Quran in this special prayer and it has its own rewards. Laylat-ul-Qadar is the night in which God had started sent down the Quran on Prophet (PBUH). On this blessed night, the first verses of the Quran were revealed to our Nabi (SAW). Allah Almighty showers His countless blessings on his followers on this night. On this night, the Thwab of doing Ibaadah is thousand times better than other nights. There is no confirmed date for the night and Muslims search for it in the odd nights of the Last Ashra of Ramadan Kareem. People spend the whole night in offering Nawafils and asks for Allah’s forgiveness and guidance in this world as well as in the life after death. Mosques, official buildings, and houses are decorated with lighting. Masajid held a special program for prayers and lots of people spend the night at Mosques while listening to religious scholars. Islam never forgets poor and needy peoples. So, Fitrana (the Arabic word means Charity) is offered to poor and deserving families so they can also participate in ‘Eid celebrations. It’s compulsory to offer Fitrana before the ‘Eid prayer. Eid-ul-Fitr marks the end of Ramadan. It is prohibited to fast on the day of ‘Eid. Muslims start the day of ‘Eid by showering and wearing new clothes. Some sweet dishes are prepared to eat before Namaz-e-’Eid. After having Breakfast, everyone goes to the mosque to offer Namaz-e-’Eid. People embrace each other to show their love and brotherhood after offering ‘Eid prayer. Feasts are prepared for family, friends, and relatives and special plan are prepared to enjoy the special day. The ‘Eid lasts for three days and official holidays are announced on these days. The followers of Islam belong to every part of the world so the local rituals vary according to the tradition of each region. Hope you would like our list of Ramadan Rituals. 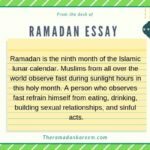 Here are the 9+ Ramadan Rituals customs that you should know with help of an image.